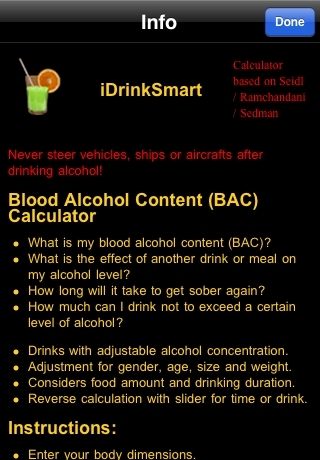 * How high is my alcohol level (blood alcohol content BAC)? 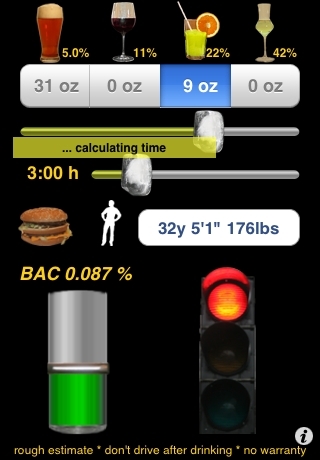 * What is the effect of another drink or meal on my alcohol level? * How long will it take to get sober again? 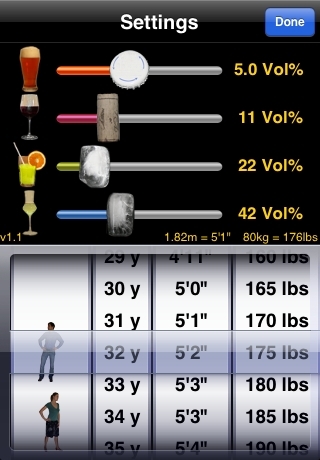 * How much can I drink not to exceed a certain level of alcohol? 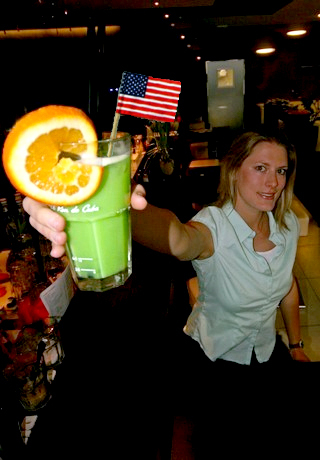 can be both entertaining and helpful in situations such as: parties, travel, business meals and various other occasions. 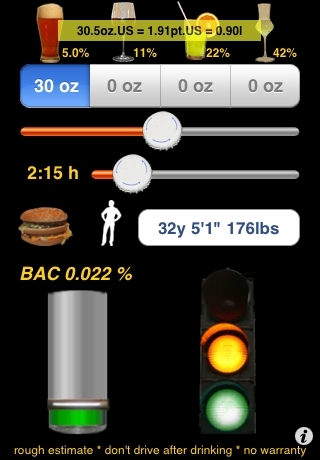 `iDrinkSmart` will thrill all due to its modern design and its ergonomic user interface. Be aware: The standard deviation for such calculations is very high and can easily reach 100%. one of them could have a double peak BAC. All information and results are without warranty, they are no legal advice. Never drive or work after drinking!